It is a common complaint of those suffering from migraines to have neck pain accompanying it. Research reported on by the National Headache Foundation revealed that 38% of migraine sufferers also had neck pain either before or after a migraine. And, 31% report having neck pain at the same time as a migraine. This means overall, 69% of those with migraines also have neck pain. Neck pain can be caused by tightness in the muscles of the neck and shoulder that can negatively affect the nerves of the upper cervical spine. This is called a cervicogenic headache. Something causes the nerves to get stimulated and as they reach up into the head and become irritated, thus causing migraines. The tight muscles of the neck and shoulders can be stress-related, either emotional or physical. 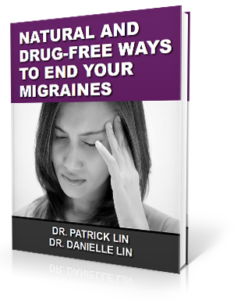 The above-mentioned ideas may be helpful, but sometimes more is needed to help alleviate migraines. The next step may be to consult an upper cervical chiropractic professional. We understand that the root cause of migraines must be addressed to find relief. This often comes in the form of a misaligned atlas bone. The atlas is the top bone of the spine and, if out of place, can interrupt signals being sent via the brainstem between the brain and body. The brainstem is part of the central nervous system and, if it malfunctions, all sorts of problems in the body can develop. We use a gentle method to help the atlas bone realign naturally. This restores communication and may be the answer to long-term migraine relief. Some see their migraines go away entirely.